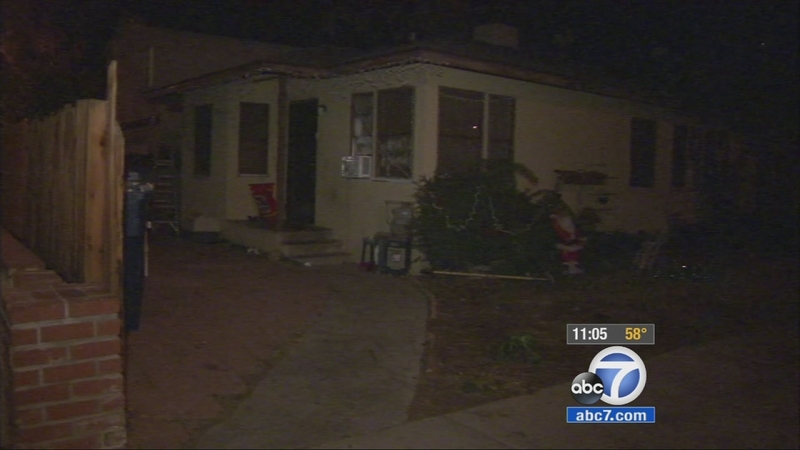 LANCASTER, Calif. (KABC) -- A 13-year-old boy rescued his sister from a man attempting to kidnap her from their Lancaster home Saturday morning. A preliminary investigation revealed the suspected kidnapper was seen pacing near the home where the girl lived in the 300 block of West Kildare Street before noon. He allegedly entered the fenced yard, asked the girl her name, before grabbing her and attempting to walk away with her, Lancaster sheriff's deputies said. The victim's older brother grabbed the victim's arm and yelled for someone to call 911. "He was definitely quick on his feet. He's very responsible for his family and obviously his 4-year-old sister. So at this point, he is our hero for today," Los Angeles County sheriff deputy Mighuel Ruiz said. Lancaster deputies patrolling the area were flagged down by neighbors, who directed them to the suspect, later identified as 61-year-old Earl Williams. Neighbor Jasmine Watts said she had seen the suspect earlier while walking out with her young son. "He was just calling me, 'Hey, come here. Come here.' I don't know this guy, never seen him before. He was already talking to himself when me and my son came outside, so I'm just like, 'Okay, this is really weird,'" Watts said. Williams was arrested and booked on kidnapping charges. He is being held for $100,000 bail.